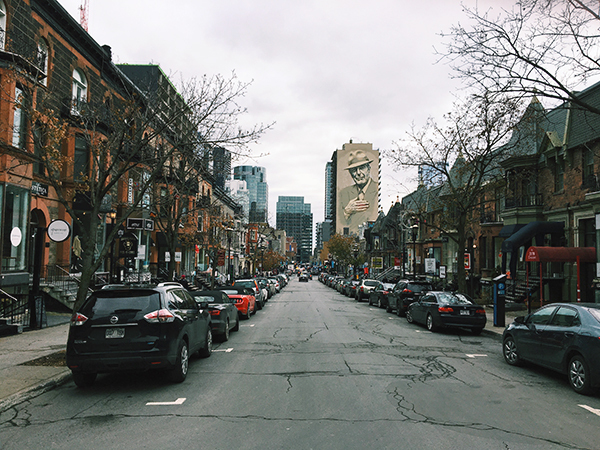 3 not-to-miss art places in Montréal + a free map! 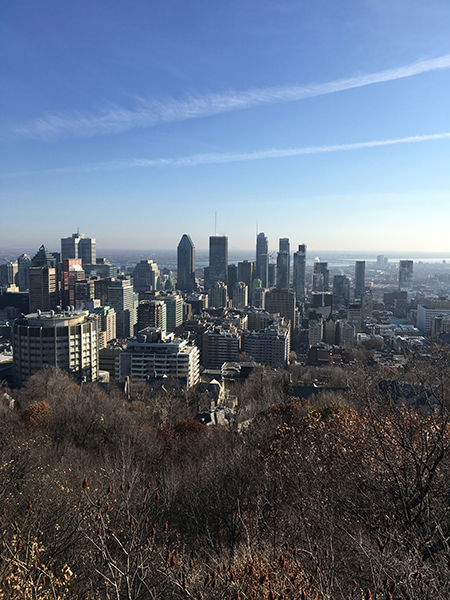 3 not-to-miss art places in Montréal, because you can’t spend all your time enjoying concerts, stand-up shows and/or eating maple syrup and poutine. 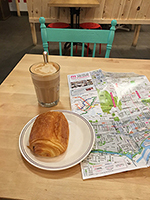 And of course what would be a great city guide without a free custom map! You are welcome!! 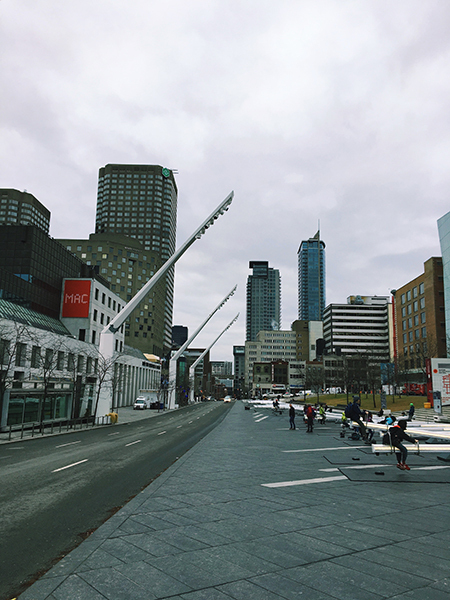 Enjoy the art scene of the Canadian city! Founded in 1964 the MAC is Canada’s premier museum dedicated exclusively to contemporary art. 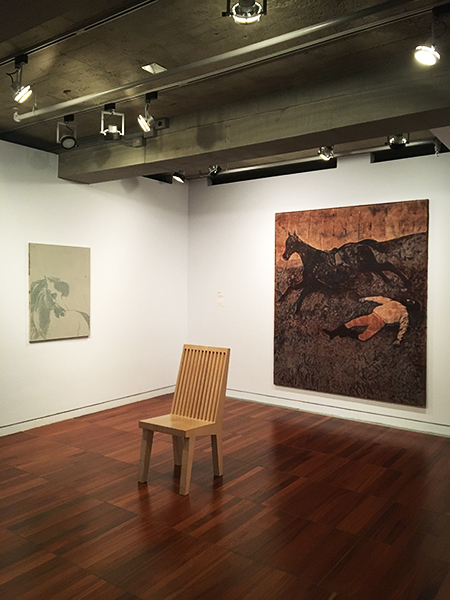 Its mission is not only to display and acquire international artists but also to preserve and promote works of contemporary artists from Montréal, Québec and Canada. Conveniently the museum is located in the city center, so no problem getting there. Inside get ready for great temporary exhibitions and art collections. Plus every services provided nowadays by contemporary art museums: events, education, guided tours, etc. When I was there I got to see the exhibition about Leonard Cohen. Who’s life, I must say, I did not know very well. It was quite interesting to see the production of artists inspired by him, the inspiration, influence and reach he had on them. Entrance fee: 19$. Half-price Wednesday evening 5 p.m. to 9 p.m. This one was my favorite. I was alone when I visited it, right when they opened in the morning. The staff was charming and gave me great presentations of the works. Founded in 2007 this is a non-profit dedicated to contemporary art. Each year they present 2-3 exhibitions, combined with projects, events and an education program. Never before did I experience the feeling of having an opera singer to perform for just me. It is bizarre, overwhelming, joyful at the same time, quite indescribable really. You do not know where to look, or how to act because you fear that if you do anything you might disturb the singer. Since I was alone I had the chance to talk with the performer afterwards who explained to me all the different reactions she had from visitors. I hope many people will get to experience this. Tip: looking for a quick lunch break? Check out Venice in the neighborhood for a taco or a poke! More addresses on the map at the end of the post. Last but not least. 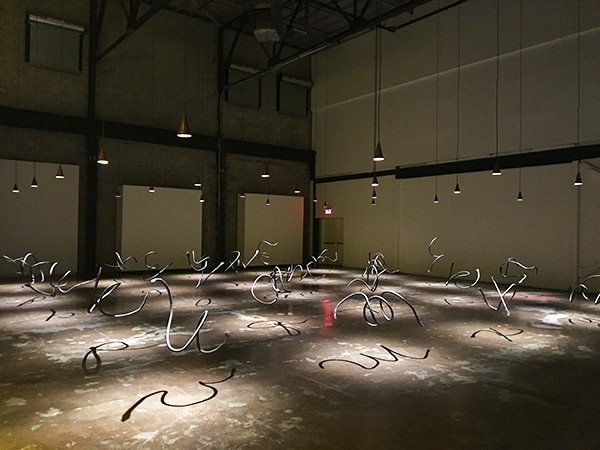 A great exhibition space, located a bit outside of the city center, in Griffintown district, in a 19th century shipyard of over 80,000 square feet of space. This is a private foundation dedicated to promote and develop contemporary art. 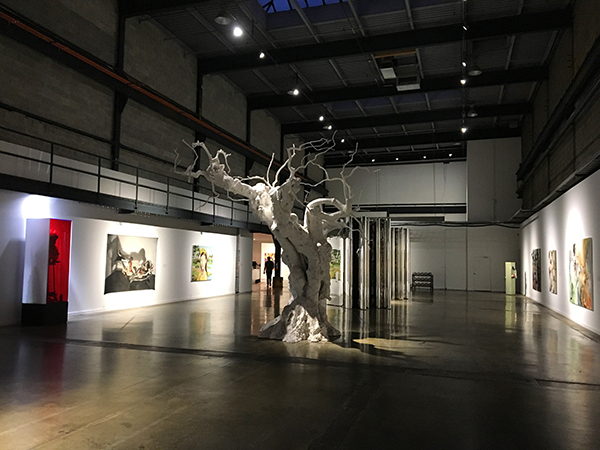 There you will see works by local and international artists such as the likes of: Anselm Kiefer, Franz West, Donald Judd, Ugo Rondinone and Jon Rafman. This gigantic space gives the opportunity to showcase artworks of a much larger size or of special needs for their display. Arsenal also has antennas in Toronto and opened one in New York in 2017. 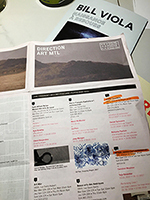 Tip: When checking out the space in Montréal you can also go upstairs to see the contemporary art gallery Division. TIP #1- Check out this art MAP of Montréal. There you will have all the exhibition spaces available in the city. I was there only for a few days so I checked the most “famous” exhibition spaces, which I did not want to miss. There is much more to see in the city! They also have a printed version of the map with information on shows. You can get one at any of the spot. You can see it here. I stayed at a very cute hostel (looked way more like a hotel, with a hot-tub on the roof!). It’s called M Montréal Hostel, they have a bar downstairs with specials nights (comedy stand-up!!) and all the services you might think of. They have redone it a few years ago so it is very modern and clean-looking. More info and pictures here. Finally the location is perfect! If you stay there go take your morning coffee at La Graine Brûlée, a very cute coffee shop nearby! I know it is not an art destination, but still. It is a beautiful place, you will enjoy a nice walk in the nature and get an amazing view of the city. All of this for FREE. What’s not to love? TIP #4 – Check out MY map of Montréal! There I added all the places I went to: monuments, restaurants, cafés, etc. And of course all the places that were recommended to me. Enjoy! 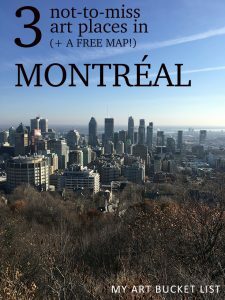 To get access to the Montréal map and all of the FREE Google Maps I designed, subscribe to my newsletter. Once you are confirmed you will receive the password to access all of them: Paris, London, Basel, and so on. Enjoy! Did you know these places ? What is an art lending library?